From text and predictive analytics to mobile and talent analytics, today’s marketer has a veritable smorgasbord of analytics tools at their disposal. Attempting to stay on top of the latest analytics resources can leave you feeling like you are trying to capture stardust falling from the sky. There are so many powerful platforms being created by entrepreneurial startup companies around the globe, a savvy business professional has a hard time keeping up with the latest treats and trends. 7 brilliant analytics tools you might have missed! Have no fear, though! We’re here to do the detective work for you. We’ve hunted down the newest analytics startups and bring you details on the freshest resources available to help you grow your business. Currently accepting public beta access requests, Reveal Mobile’s analytics combine data from numerous sources including beacon technology, mobile device latitude/longitude coordinates, and apps currently installed on a device. If you want to maximise the potential of your mobile marketing efforts, it is imperative you understand how your customers are utilising their devices in the real world. Reveal Mobile lets you tap into actual data customers have opted in to share with mobile developers. Rather than depend on generic programmatic ad-buying, why not make informed marketing decisions based upon actual mobile users? Also currently accepting beta access requests, Bridge Analytics offers data intelligence to marketing agencies. Clients and agency staff can track marketing campaigns, including both online and offline components. Monitor everything from email marketing and print ad campaigns to SEO and PPC. 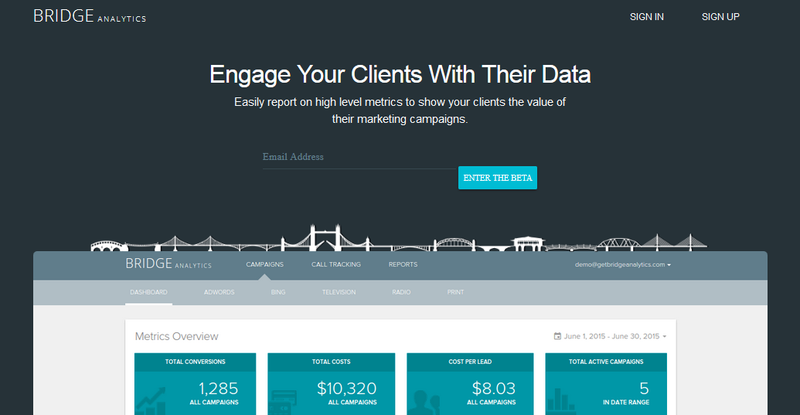 Bridge Analytics offers campaign call tracking, lead quality monitoring, and daily/weekly/monthly campaign updates. Whether you are working with a marketing agency or work for one, Bridge Analytics is a tool worthy of further investigation. Another tempting analytics tool to discover is DataForce. Presently available by invitation only, DataForce combines data analytics and data visualisations for SMBs. Compile data from your sales forecasts, review details from your sales funnel, or dig into financial figures to determine whether upcoming pricing adjustments are in order. DataForce uses cloud-based technology, so you will never have to worry about purchasing hardware just to have access to your latest analytics data. If you like the idea of analytics intelligence as a service, you will love iDataLabs. With iDataLabs, you can uncover all sorts of delicious data on your competitors. Research companies based upon the software they use, the size of their business, or even their revenue stage. Increase your return on investment by understanding your competitors’ strengths and weaknesses before you finalise your growth marketing initiatives. Correlate offers data intelligence as a service. 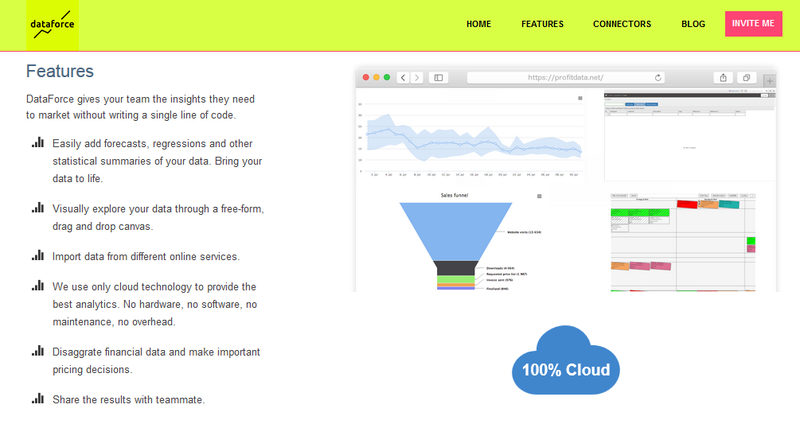 You can use data discovery apps provided by Correlate or build your own with their API. Aggregate your data, quantify your media buy effectiveness, and integrate information from multiple platforms including Google Analytics and social media networks. Correlate’s powerful platform offers everything from sentiment analysis to event detection. If you are an online retailer, another must-discover analytics startup is Crowdstream. Their enticing platform lets you track product clicks, image views, and customer sales. View historical data for each of your ecommerce buyers, review top referrers to your website, and analyse your sales results across multiple email marketing campaigns. Whether you’re a full-time ecommerce retailer or combining online and offline sales, Crowdstream is definitely worth investigating for your business. If you want to take your analytics sleuthing to the next level, dive into Trackometrix. 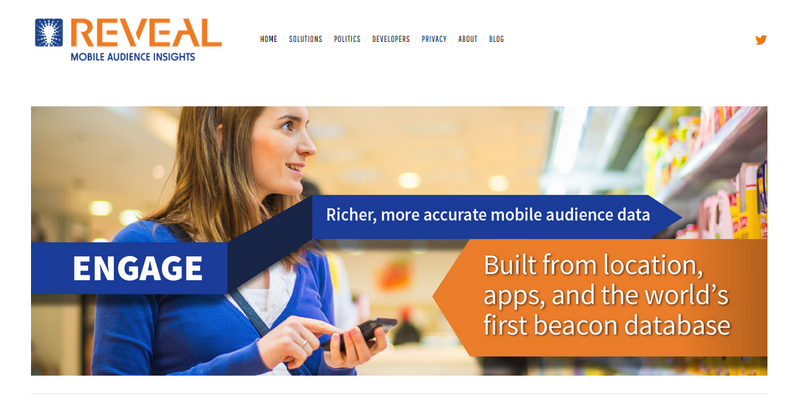 This hot Singapore startup offers everything from beacon and IoT analytics to WiFi intelligence. Their in-store analytics offering combines facial recognition technology, motion sensing, and transaction analysis to help retailers understand their customer patterns. Trackometrix offers numerous analytics products to retailers including display window tracking, service desk monitoring, loyalty card tracking, and shopping activity maps. As you can see from the above-listed startups, the analytics sector is exploding with activity. Data intelligence is weaving its way into everything from our wearable devices to our cars. Any object or interface that is capable of accruing data can then be mined for the details that data provides. As an ever-increasing number of items become smartphone-enabled or join the IoT sector, expect businesses to use data analytics in all sorts of intriguing ways. From inventory ordering and replenishment to staffing demands and marketing initiatives, the better business owners are able to understand the details in their data, the better prepared they are to target their customers’ needs effectively. What analytics / intelligence tools are you using for your business? Let us know if we missed anyone off our list!